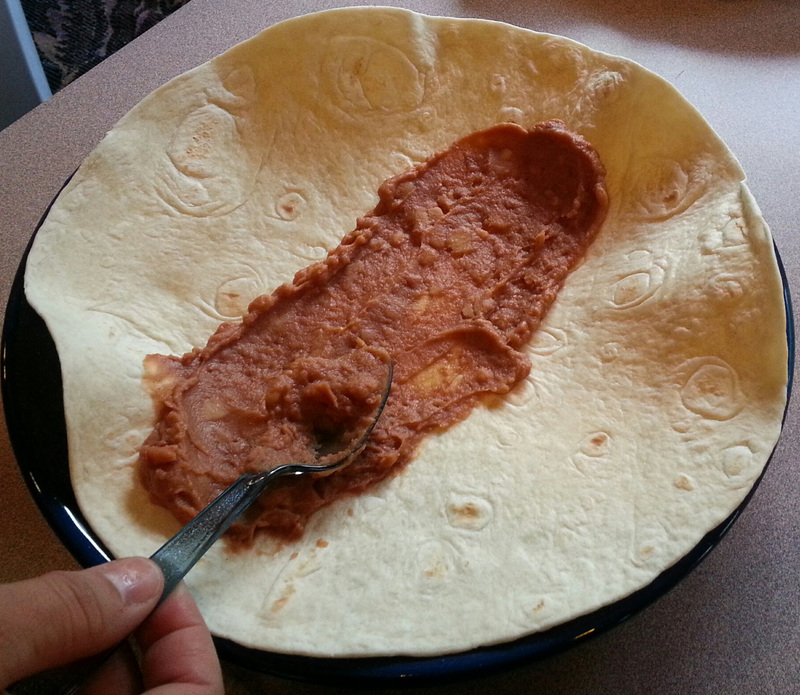 We hope you enjoy this wonderful recipe that Jay found for me a couple of years ago and adapted to my taste. 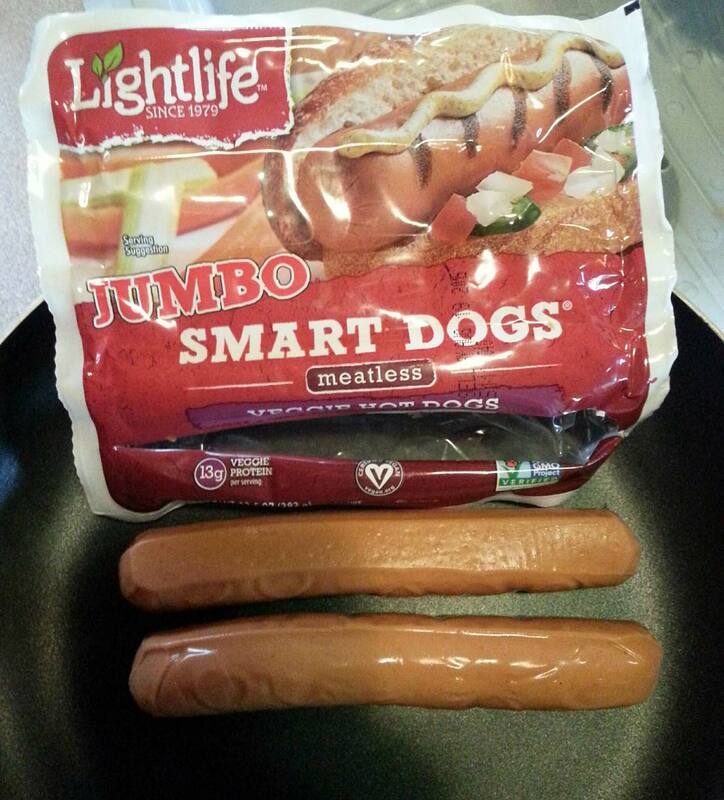 This is my all time favorite vegan dish but you can use any sausage you like! 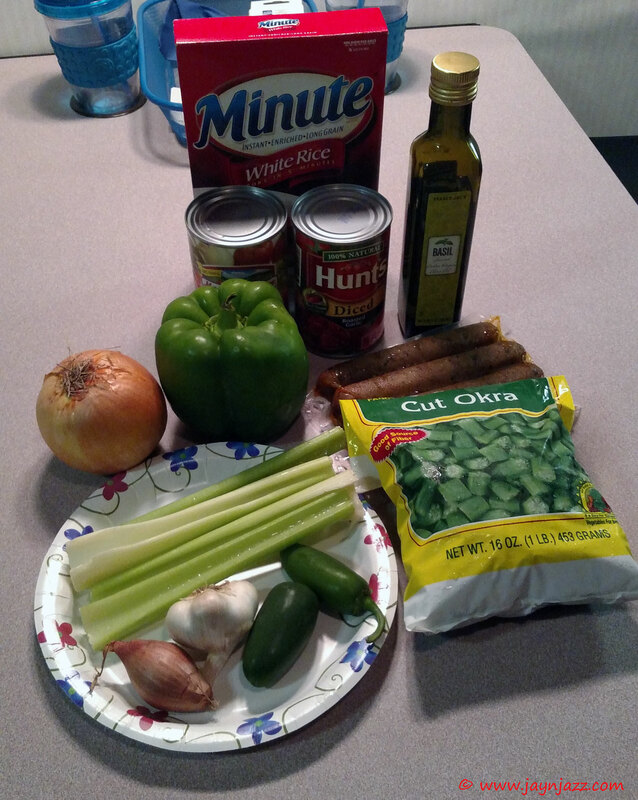 Step 2: Heat olive oil in large pot and add chopped onion, pepper, shallot, and jalapeno, cooking until tender. Add garlic and cook for another 2 minutes until fragrant, stirring frequently. 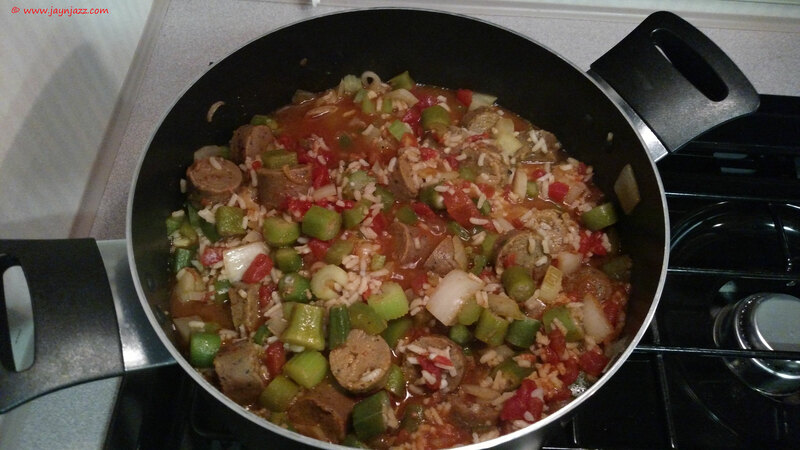 Step 3: Stir in tomatoes (with juice), sausage, water, okra and rice. Add Cajun and other seasonings to taste. Bring to a boil, then reduce heat and simmer for 25 minutes or until rice is tender. 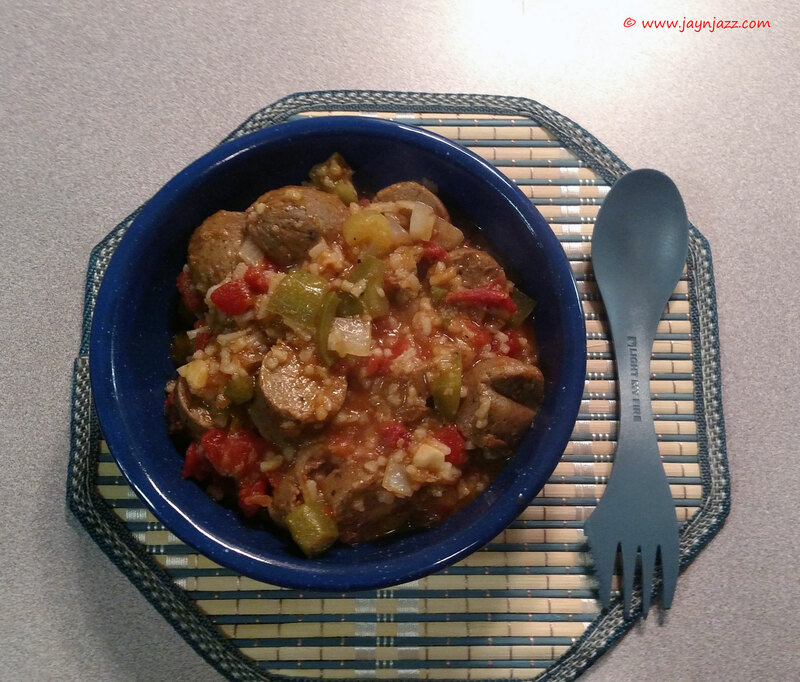 This is a quick and delicious vegan dish that I’ve made for Jazz several times at home. We tried it while on the road this past September and Lady T’s 21-year-old oven worked flawlessly! Step 2: Preheat oven to 350 degrees. 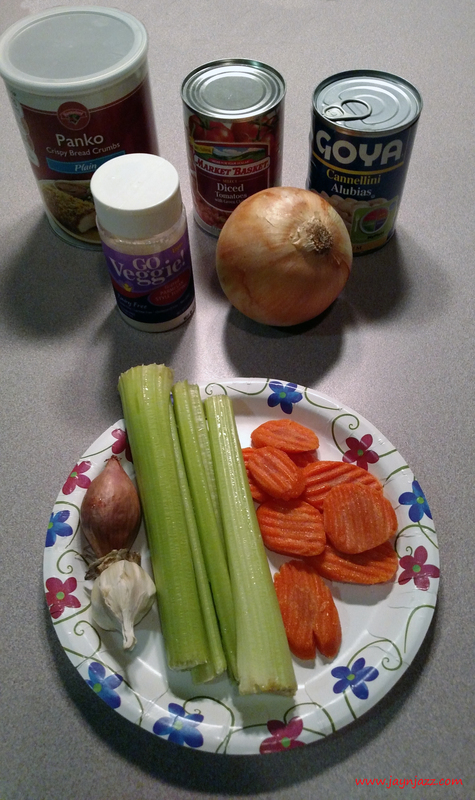 Heat two tablespoons of olive oil in a medium pot, then add onions, carrots, celery, and shallots. 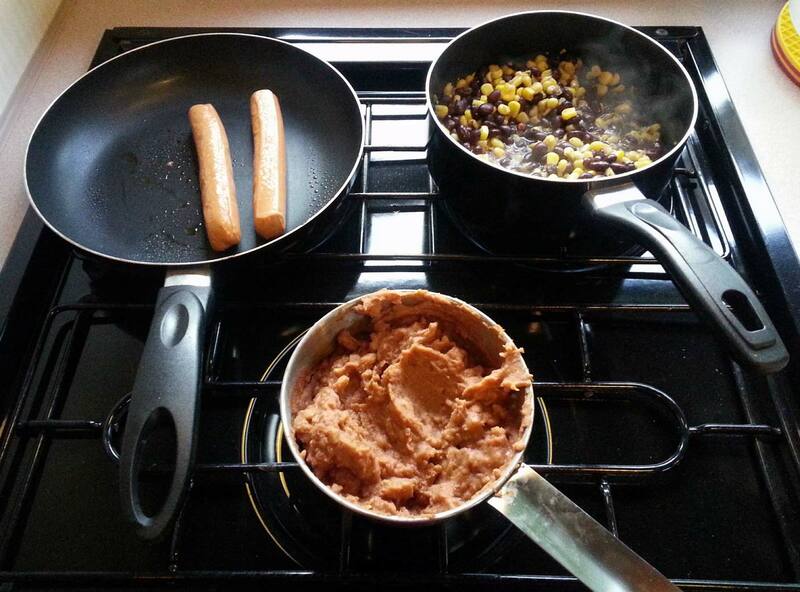 Cook until tender (about 8 minutes). 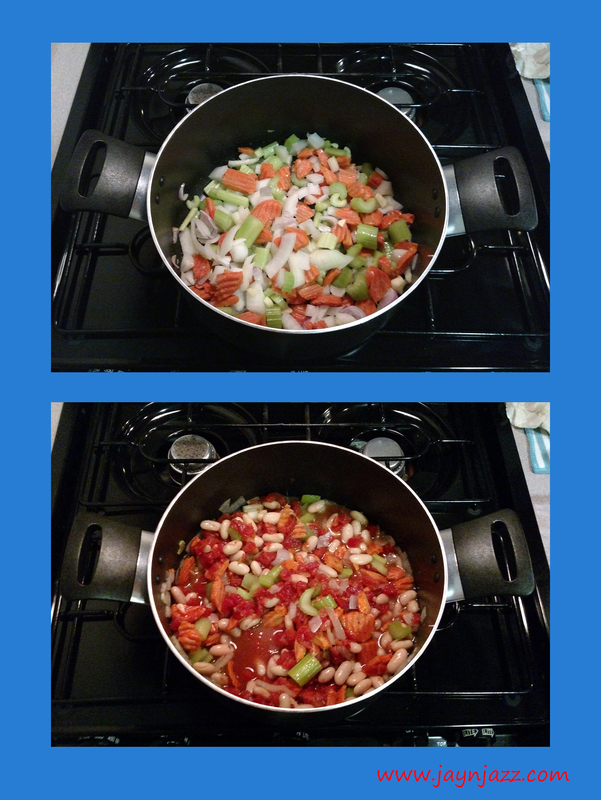 Step 3: Add beans, tomatoes with juice and garlic. Add black pepper to taste. Cover loosely and cook another 8 minutes. Step 4: Combine cheese and breadcrumbs in a small bowl and mix thoroughly. 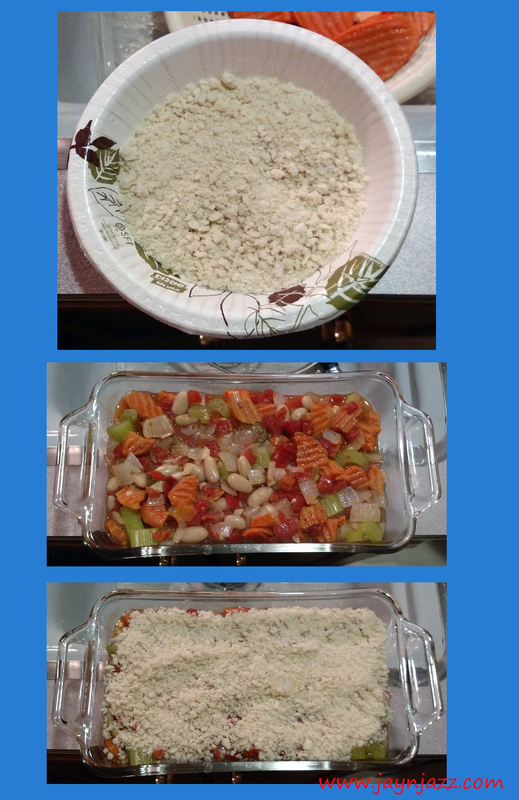 Transfer veggies to baking dish and cover with cheese mixture. Bake in the oven until juices boil and top is golden brown. Serve as a main or side dish. Enjoy! 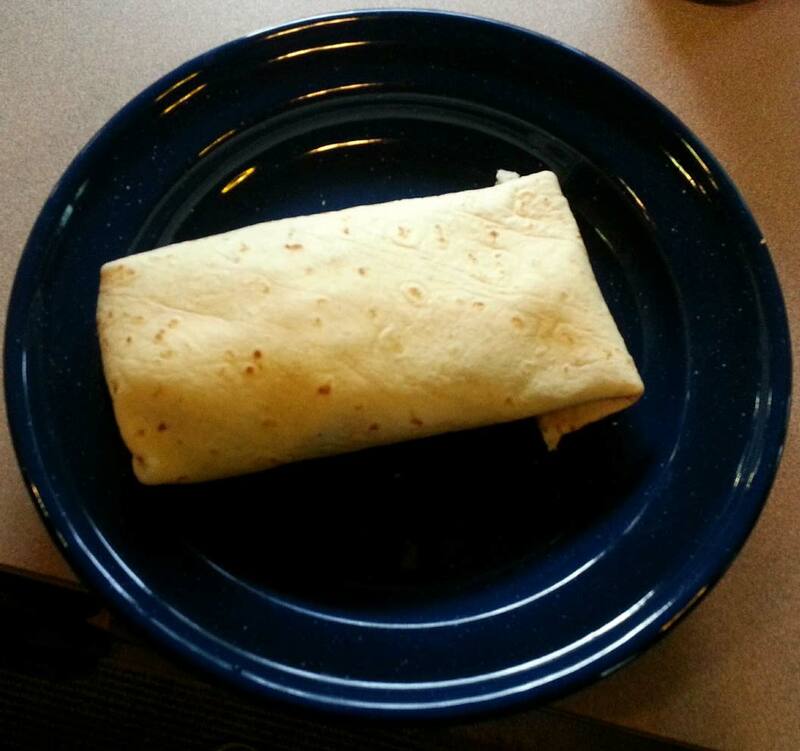 Camping season is here and we’re happy to finally be adding recipes to the blog! 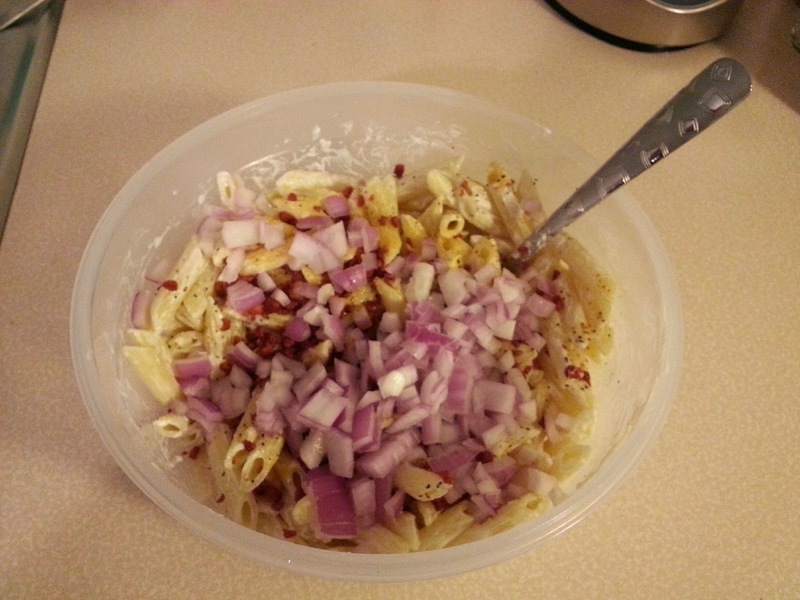 The following recipe is for my Mom’s Pasta Salad. I have modified it to be vegan compliant but I will share the original with you as well. This wasn’t made in Lady T but I always make it before we go camping. I use penne pasta but you can choose something else if you like. 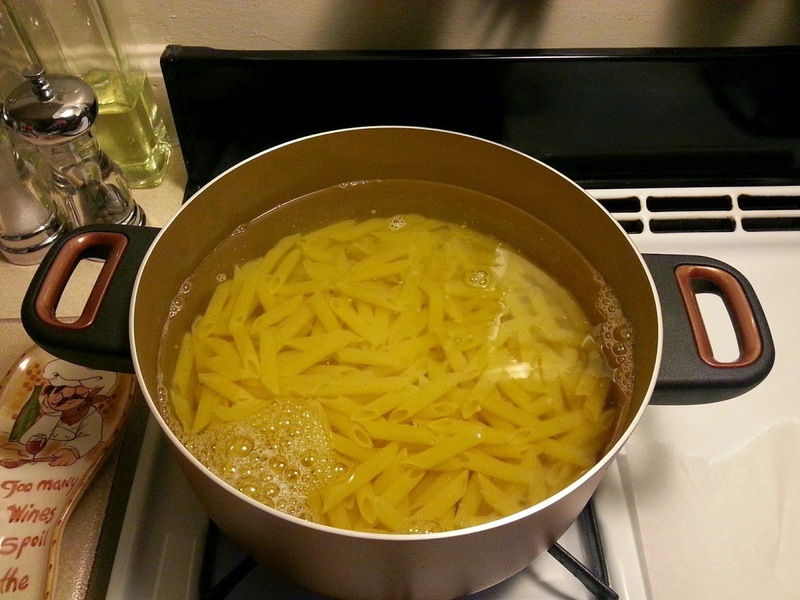 Boil one box of penne until the pasta is “al dente”. This means firm to the bite. If the pasta is overcooked, it will turn into mush once you add the other ingredients! I don’t add salt to the water but you can add salt to taste after mixing the other ingredients. 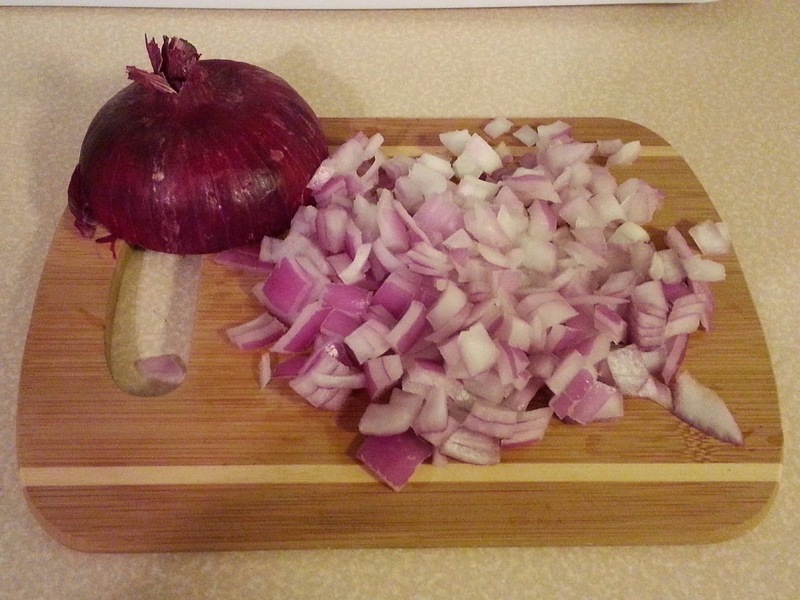 I like to use red onions because they are a not as strong and look more colorful in the mix. 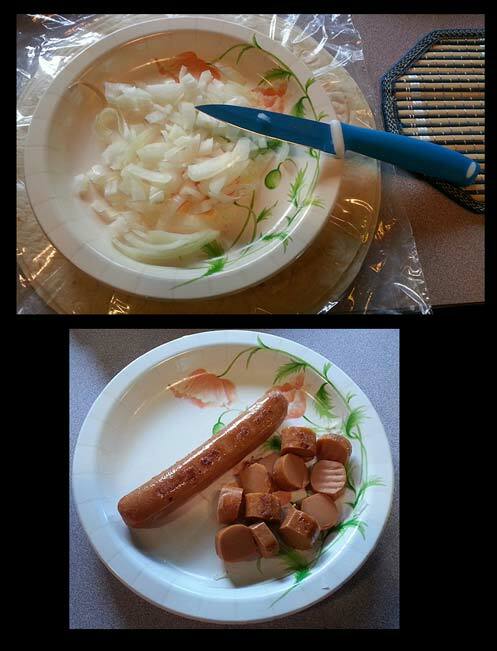 I usually dice about two-thirds of a medium red onion but you can modify this to taste. 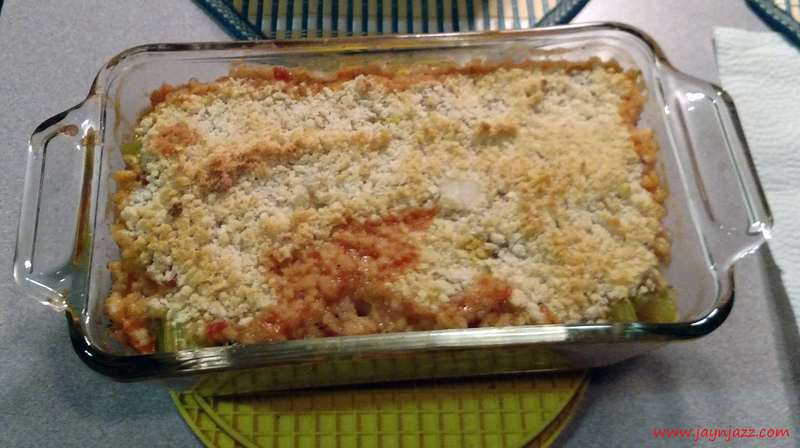 I had to try this recipe a few different ways before it was close enough to my Mom’s for me to enjoy. 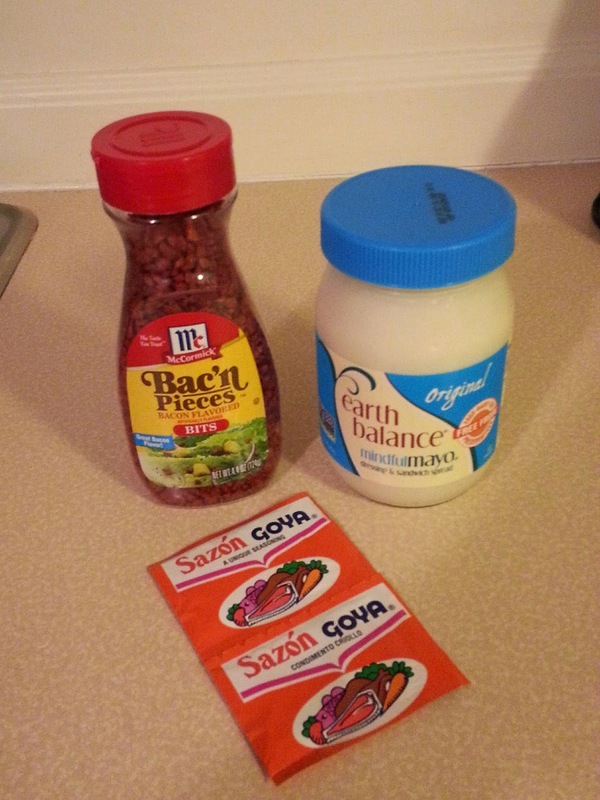 The Sazon (without annatto) was always part of my Mom’s version, but I had to find substitutes for the mayo and bacon. Earth Balance Mindful Mayo is delicious and can be found at any Whole Foods store. 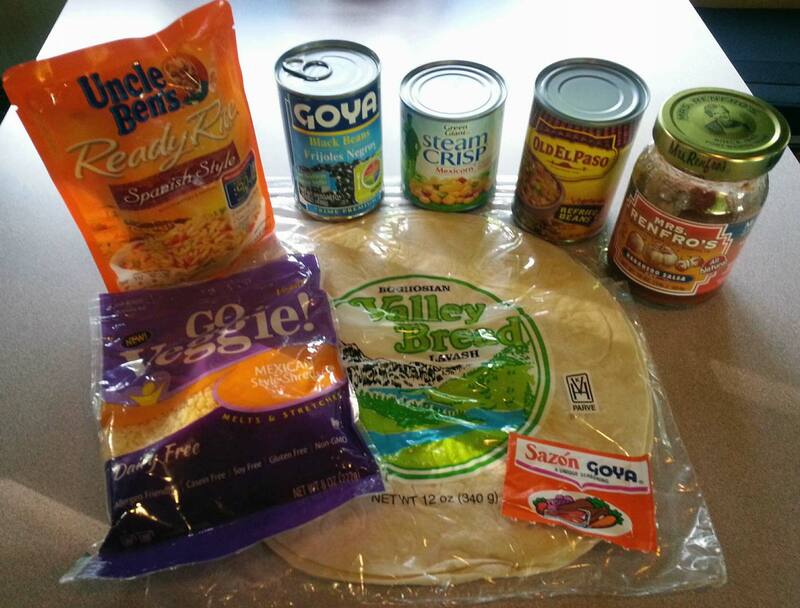 McCormick’s Bac’n Pieces are made from textured soy and add salt to the recipe. Once your pasta is cooked, drain into a colander large enough for you to swish the pasta around. 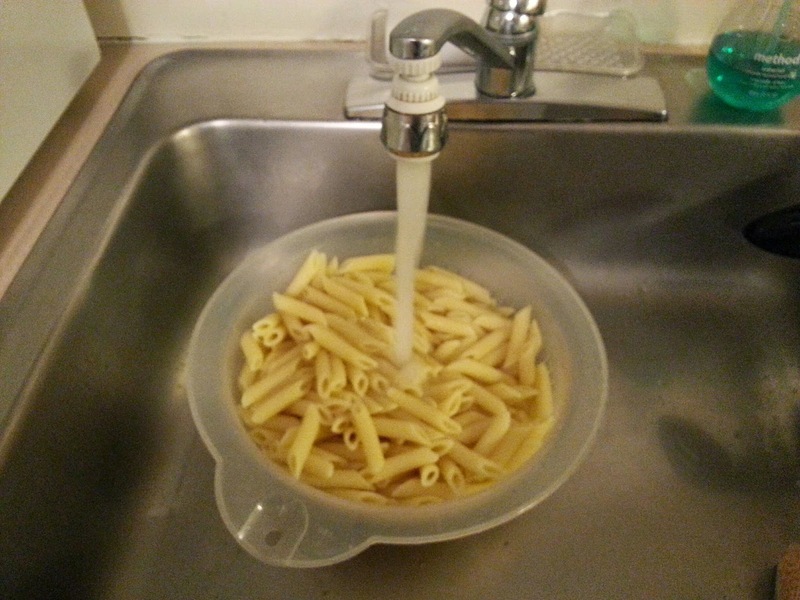 Immediately run cold water all over the pasta until completely cooled. This keeps the pieces from sticking together and doesn’t turn the vegan mayo watery from the heat. Your pasta salad will keep for up to three days in a sealed container. You will have to mix again if the salad sits for a while, as the oils from the mayo will settle to the bottom. Substitute vegan mayo for Cains mayo. 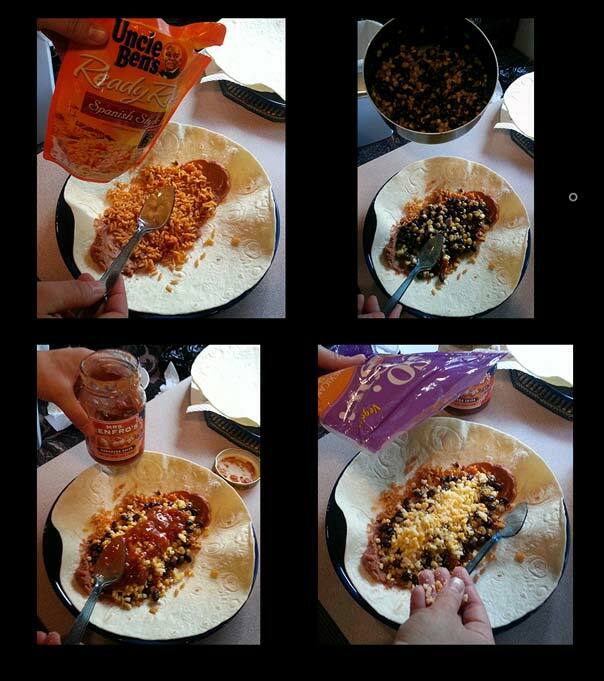 You can make it creamier by adding a whole cup. There you have it! 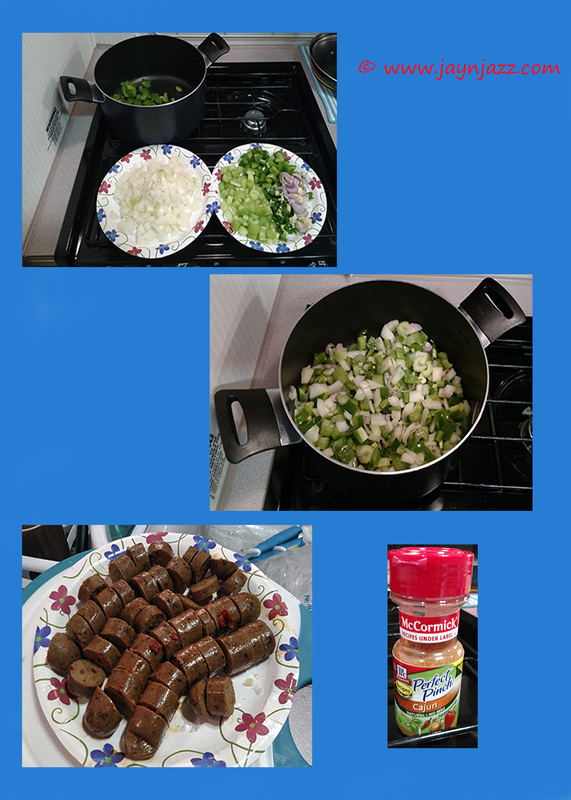 I love making this quick and easy recipe for the road and I hope you will too. Let us know how it turns out by visiting us on Facebook and posting your pics. Enjoy!